Captain Sig and Captain Phil liaison to reclaim their junior deckhands with a high seas transfer. But when the young crew members submerge themselves in the bitter, treacherous tides – the plan quickly spins out of control. Why no one thinks it’s fun to switch boats at sea. A Northwestern deckhand agonizes over terrible memories. Time Bandit fights to stay alive. 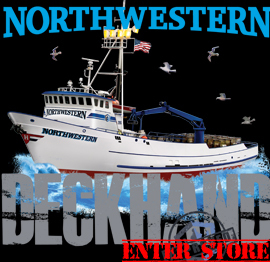 Deckhand shake-up on the Kodiak.